“[…] by preventing full revelation of the state, the followers are induced to work harder-at least in some states-than they would were the leader’s action to reveal the state fully. In turn, this creates a potential motive for centralizing information in the hands of a single leader” (Komai et al, 2007, p. 947). However, the advent of the Internet and ubiquitous computing technology has made leadership roles more malleable by allowing exponentially more people to assume leadership positions as a result of information shared with the world as a whole. In the past, reaching the public with pertinent information required access to the mass media in the form of an agenda-setting news entity willing to cover that information. This offered elites in leadership roles a sort of double wall of protection from unflattering information reaching the public. That is to say, even if someone within their organization breached the walls of security, there was still a good possibility that someone else in power in the news media would serve as a second bulwark against that information being published by carefully weighing the damage it would cause to their relationship with others in power. A good example of this principle at work arose during World War I with the establishment of the Creel Commission, which demanded all book, magazine and newspaper publishers submit war stories to them for review first before sending them to print. A story announcing this demand even ran in the New York Times on February 21, 1918 with the headline Request of Secrecy to Book Publishers. At first, even the Internet was susceptible to the “gentleman’s agreement” of two powerful entities agreeing to suppress information for mutual benefit – Internet Service Providers (ISPs), search engines, web hosting companies and social networking sites have all proven themselves compliant with virtually all government or corporate requests for censorship. 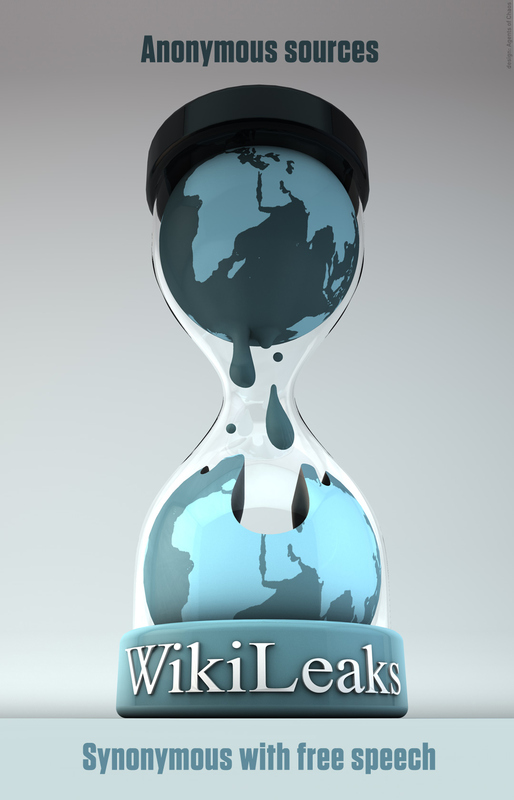 However, a new breed of platform has emerged in WikiLeaks – a not-for-profit entity with no real permanent geographic location that exists beyond the boundaries of the law of any single nation. On June 6, 2013 stories about a secret US government surveillance program that started in 2007 code-named “Prism” appeared 20 minutes apart on the websites of the Washington Post and the UK newspaper the Guardian. They offered startling detail, including slides from a presentation explaining the program, which showed that the US National Security Agency (NSA) had direct access to direct access to the servers of dozens of widely-used Internet companies including Google, Facebook, Microsoft, AOL, Skype, YouTube and Apple which gave the agency the ability to monitor all digital communication on those platforms. The program amounts to warrantless wiretapping for the vast majority of citizens in the United States. Moreover, the program extended beyond the US as the NSA set up an equivalent system for its UK equivalent – the British Government Communications Headquarters (GCHQ). In the subsequent week, the public learned that this information (including the presentation slides) had been provided to the newspapers by a 29-year-old former private security contractor for the NSA named Edward Snowden. His relatively low-level status offers a good illustration of how easy it is for underlings in any organization to access privileged information once they are on the inside. The story bears more than a passing similarity to the case of Private First Class Bradley Manning, a former Specialist in the US Army who served as an intelligence analyst. Manning is currently on trial for passing hundreds of thousands of documents, pager messages, and other content to WikiLeaks. A critical feature of the new era wrought by the Internet and social networking in particular is that it affords every person with Internet access the same reach as the largest newspaper or television station if they have a compelling message to share. This means that whistleblowers need only upload an incriminating file once and it can be quickly duplicated an infinite number of times and spread throughout the world at virtually no cost. […] Leakers are being prosecuted and punished like never before. Consider that the federal Espionage Act, passed in 1917, was used only three times in its first 92 years to prosecute government officials for press leaks. But the Obama administration, in the president’s first term alone, used it six times to go after leakers. Now some of them have gone to jail (par. 8). Leadership strategies that rely on hoarding information among a trusted few must now be evaluated for their viability in light of this paradigm shift. There is too much information that is too easily-shared for it to be reliably controlled by those in leadership positions. Conversely, a new premium has been placed on transparency and leaders can earn proportionately more favor from followers by utilizing this trend in their decision-making process. Hermalin, Benjamin E. The American Economic Review88.5 (Dec 1998): 1188-1206.